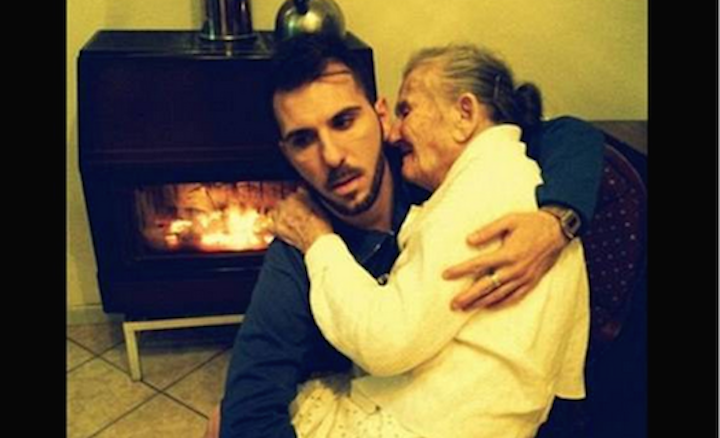 The Love This Man Shows His Grandmother With Alzheimer’s Will Touch Your Heart. 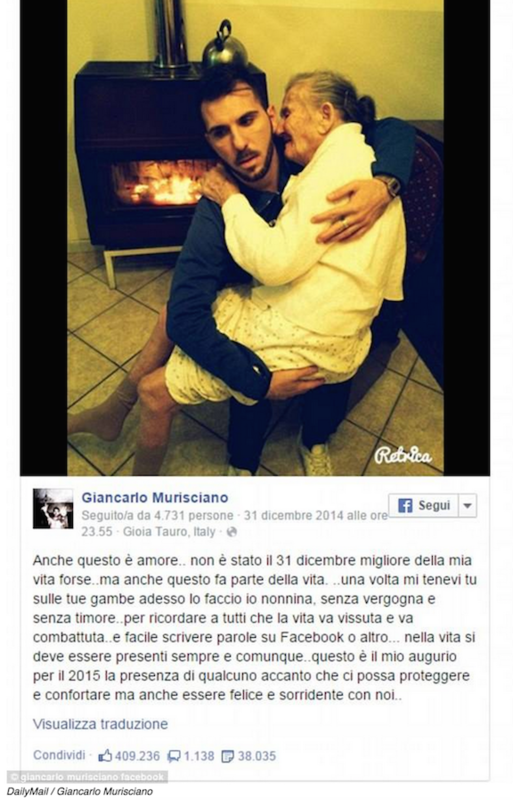 Earlier this month Giancarlo Murisciano posted a photo on Facebook that had people around the world touched by his love. It shows the young man cradling his 87-year-old grandmother, who suffers from Alzheimer’s. Giancarlo’s grandmother is so lucky to have a caring grandson like him. We should all learn a lesson from his caring heart. Father Of The Bride Stops Wedding To Do THIS To Bride’s Step-Dad, And It Shocked Everyone!